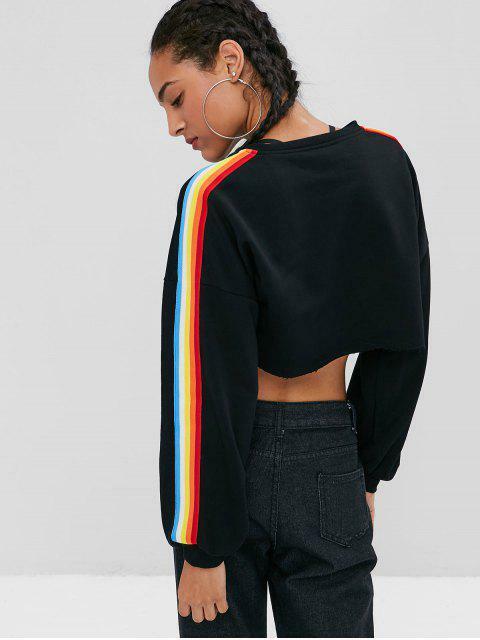 [23% OFF] 2019 Rainbow Stripe High Low Cropped Sweatshirt In BLACK | ZAFUL ..
Super cute, Fits well, Looks exaclty like the pictures , True to size, Comfortable and of fantastic material, i got it togetter with the baggy pant and it looks amayzing togetter. A super-cropped terry knit sweatshirt featuring a raw-cut front cutout and hem, crew collarline, dropped shoulders, and long sleeves with rainbow striped tapes. Pair this piece with a bralette, high waisted skinny jeans, and leather boots for an edgy street-ready look.